Two men who are reportedly responsible for a string of burglaries around the Philadelphia area were arraigned in Montgomery County District Court on Monday. Anthony McDaniels and Leroy Boose have been connected to 80 burglaries that took place throughout Lower Merion, Abington, Cheltenham, Havertown and Upper Darby. Officials say that two men were finally caught while attempting to rob a home on the 1500 block of James Road in Wynewood. Police say they have been working the case for over 6 months. The two used a similar MO every time. They would wait for the homeowners to leave their house and they would break in when it was empty. The items stolen from the houses have been found in stash houses located in New Jersey, Upper Darby, and North Philly. Officials say that they expect more charges to come against the pair as the investigation continues. Renowned Physicist Stephen Hawking died at the age of 76 on Wednesday morning. His family stated that he passed away peacefully in his home near Cambridge University. 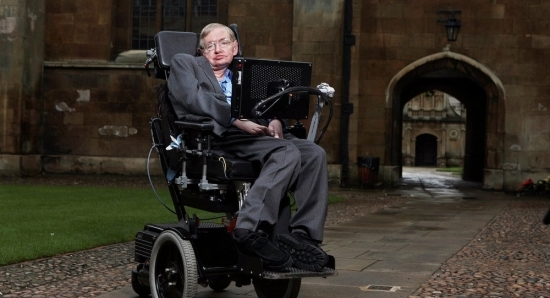 Stephen Hawking was diagnosed at the age of 22 with a rare form of an early onset, slow progressing motor neurone disease (ALS a.k.a Lou Gehrig's disease) and was only given a few years to live. The illness however left him in a wheelchair unable to speak except through the use of a voice synthesizer. Hawking was most known for his work with black holes and relativity; he also wrote several science books including "A Brief History of Time." The Phillies play the Braves today at 1:05 pm. Today, Cloudy with some rain showers and a high of 41 degrees in Center City.